Local Digital Skills Partnerships (Local DSPs) bring together businesses, charities, and public sector organisations to tackle local digital skills challenges. Supported by the DSP, these partnerships are working to build thriving and inclusive local economies. This is the second in a series of posts from the local leads, sharing their experiences of developing a Local DSP. Eifion Jones is the Chief Operating Officer for the Heart of the South West Local Enterprise Partnership (HotSW LEP). Eifion Jones (furthest right) with the HotSW LEP team. 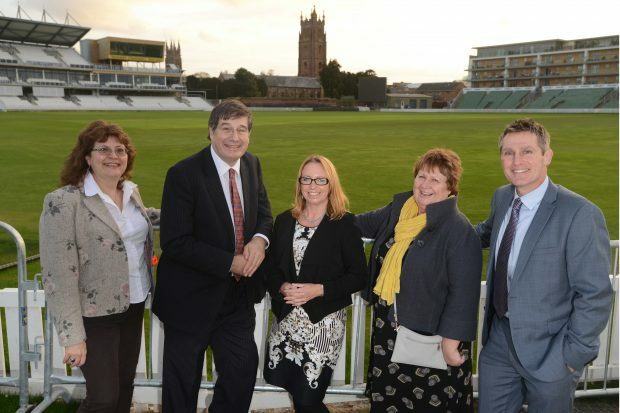 The Heart of the South West Local Enterprise Partnership is absolutely delighted to have been selected as one of the two initial pilots for a Local DSP, alongside Lancashire Enterprise Partnership.The HotSW LEP covers the local authority areas of Devon, Plymouth, Somerset and Torbay, an area of 1.75 million people with 80,000 businesses. This is an economy of £35 billion – about the size of Birmingham or Merseyside – with a number of key assets: we have, in Hinkley Point C in Somerset, the largest construction project in western Europe, creating £50 billion of business opportunities in our area; a diverse marine cluster along the south coast; the Met Office, based in Exeter; a strong aerospace and engineering sector, which includes Leonardo Helicopters in Yeovil; world-class universities; a rich heritage in tourism, food and drink; and, of course, the stunning countryside and coastline that many people will know and love. The area is rich in opportunity and inward investment, and relocation opportunities are growing. Our major challenge, like much of the UK, is in productivity. Whilst some areas in the Heart of the SW region are experiencing near zero-unemployment levels we have above average levels of under employment and pockets of severe deprivation. Digital has enormous potential to generate a step change in our economy. Equipping people and organisations with the digital skills needed for the future is a critical part of realising our potential. Our businesses already recognise this – in a recent survey of Devon businesses, 78% said that it was important for most of their employees to have digital skills. But they also noted that recruiting people with these skills is a challenge. Developing a local skills partnership dedicated to digital has been a longstanding ambition and it’s fantastic news that DCMS are supporting us. Work on the partnership started in earnest in the summer of 2017. Since then it has involved around 25 businesses, organisations and authorities, including Chambers of Commerce, companies from national telecoms, national and international manufacturing and advanced engineering, cyber security specialist providers, global leaders in data analytics and modelling, local authorities, libraries, colleges, universities, and training provider networks. This builds on a longer history which has seen a number of key organisations investing heavily in recent years to close the digital skills gap and improve collaboration and co-operation. These links with the private sector have provided new opportunities; for example the Digital Taskforce for SMEs and Charities led by Lloyds Bank, Do It Digital campaigns, Google Digital Garage, and the Online Centres Network. Having worked on developing digital skills at all levels supporting businesses across the South West, we recognise very clearly how great the challenges and opportunities for the years ahead will be. And the need for partnerships and collaboration has never been greater, with the promise of enhanced growth, employability and social mobility as our goal. The partnership’s immediate task is to strengthen our evidence base: building comprehensive data on the needs of our people, our businesses, and the economy as a whole in the coming years, and the gaps in provision that exist. As a large geography we need to be mindful of how our people and businesses can best access the most appropriate training and, through the LEP and other partners, develop the valuable links into leading businesses and expertise in these initial stages. Looking ahead, the Local Digital Skills Partnership will launch this summer. Business has been closely involved from the beginning. Ensuring that the partnership continues to be driven by key businesses and their strategic input and insights will be even more essential as we move into delivery, helping to build a strong talent pipeline and the digital workforce of the future. It is fantastic that Lancashire will be on this journey with us. We look forward to learning from them and hopefully sharing our experience with them and other LEP areas around the country. 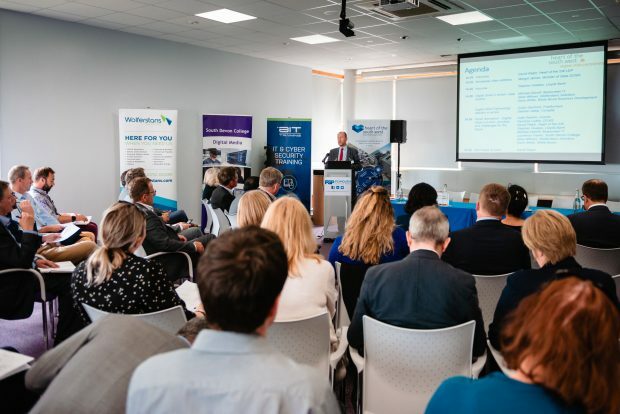 The Heart of the South West Digital Skills Partnership was launched on 13 June at Plymouth Science Park. Over 50 businesses that are recognised as excelling in the digital sector attended the launch, and are geared up for maximising on the opportunities for increasing digital skills and driving productivity. More details about the event including the presentations are available here. The HotSW DSP was launched on 13 June at Plymouth Science Park.